Recombinant ONNV virus-like particles produced in HEK293 cells.Structural proteins are transiently expressed to form a particle comprising E1, E2 and capsid protein. 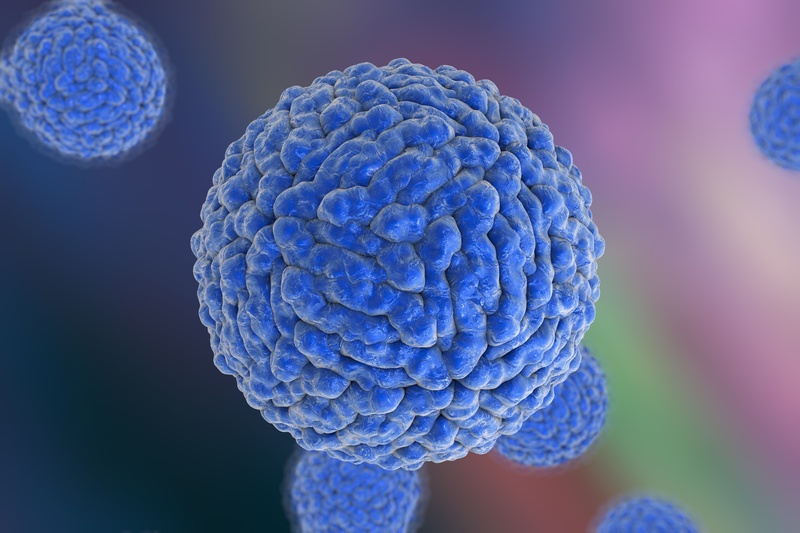 O’nyong’nyong virus (ONNV) is a mosquito-borne RNA virus of the Togaviridae family and was first isolated in June 1959 from serum samples from febrile patients in the northern province of Uganda. 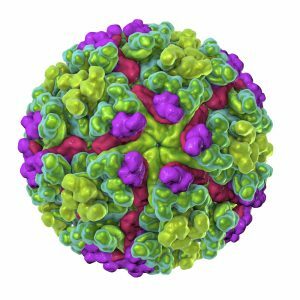 ONNV and Chikungunya virus (CHIKV) are both alphaviruses and are closely related, both antigenically and genetically. ONNV infects both anopheline (primarily A. funestus and A. gambiae) and culicine mosquitoes, whereas CHIKV infects only culicine mosquitoes. ONNV is unique in that it is the only alphavirus, and one of few viruses in general, to be transmitted to humans by the bite of an anopheline mosquito. The ONNV genome is a positive-sense, single-stranded, nonsegmented RNA of ~11.7 kb which replicates exclusively in the cytoplasm of infected cells. Replication of alphavirus RNA occurs at intracellular membranes in infected cells and leads to formation of dsRNA forms called replicative intermediates. The subgenomic (26S) mRNA is translated into a structural polyprotein from which capsid and envelope glycoproteins are produced as cleavage products; the capsid protein has protease activity which results in its autocatalytic cleavage from the nascent structural protein. Following self-cleavage, the capsid protein transiently associates with ribosomes and binds to viral RNA for assembly into icosahedric core particles. The resulting nucleocapsid eventually associates with the cytoplasmic domain of the spike glycoprotein E2 at the cell membrane, leading to budding and formation of mature virions. ONNV spike glycoprotein E2 plays a role in viral attachment to target host cell, by binding to the cell receptor. MXRA8 cell receptor is required for infection by a number of alphaviruses, including ONNV. It is synthesized as a p62 precursor which is processed by furin at the cell membrane just before virion budding, producing a E2-E1 heterodimer. Spike glycoprotein E1 is a class II viral fusion protein. Fusion activity is inactive as long as E1 is bound to E2 in a mature virion. After virus attachment to a target cell and endocytosis, acidification of the endosome induces dissociation of the E1/E2 heterodimer and concomitant trimerization of the E1 subunits. This E1 trimer is fusion active, and promotes release of the viral nucleocapsid into the cytoplasm after endosome and viral membrane fusion. Investigation of CHIKV positive sera in Uganda has shown that the majority of antibody responses may actually be the result of exposure to ONNV, showing the need for accurate diagnostics for the detection and identification of these viruses (Clements, et al., 2019). ONNV VLP (Virus-Like Particle) is a unique product that has been developed in response to the need for high purity, properly assembled and glycosylated antigens for use in the development of ONNV diagnostics, vaccine development and R&D (including use as an immunogen). Clements, T. L., Rossi, C. A. & et al., 2019. Chikungunya and O’nyong-nyong Viruses in Uganda: Implications for Diagnostics. Open Forum Infectious Diseases.